Proper nutrition is as important to the long-term health and well-being of a person living with HIV as it is to anyone else. But oftentimes, dietary needs require adjustments as the body responds to different medications or the disease itself. Vitamins and minerals can often be depleted during severe or prolonged bouts of diarrhea, the condition of which can be induced by certain infections or medications. Changes in body fats, also associated with treatment or HIV infection, can demand marked changes to one’s diet. Far more concerning, however, is the impact of malnutrition on people with HIV. Vitamin A and B12 deficiency, for example, has been associated with faster disease progression in both resource-rich and resource-poor settings. Low serum levels of micronutrients, commonly seen in malnourished individuals, demand greater vitamin intake—often in the way of nutritional supplements. Without question, nutritional supplements have their place in the treatment of malnutrition or a diagnosed deficiency, whether it be caused by an HIV-related condition or poor nutrition itself. This is particularly true in late-stage disease when weight loss and HIV wasting are frequently seen. But, what about everyone else? Do people with HIV inherently need nutritional supplements? Do these products complement therapy in a way that either reduces the incidence of infection, delays disease progression, or reconstitutes a person’s key immune functions? Or are we just hoping they will? 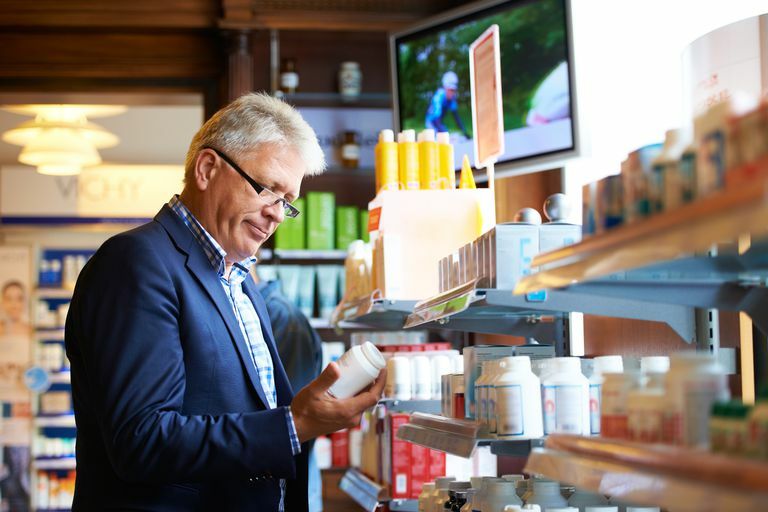 In accordance with this definition, multivitamins and other nutritional supplements are regulated as a category of food, rather than as a pharmaceutical product. They neither have to go through stringent, pre-market safety and effectiveness testing nor does the FDA have the authority to require such testing. Instead, the FDA relies primarily on post-market surveillance—monitoring consumer complaints and requiring manufacturers to maintain a roster of adverse events. However, these adverse event reports (AERs) are only sent in instances of serious to life-threatening side effects. Mild to moderate events, such as headache or gastrointestinal distress, are not reported unless the manufacturer voluntarily chooses to do so. This is in stark contrast to the pharmaceutical industry, which spends an average of $1.3 billion dollars per drug in research and development costs in order to obtain FDA approval. In 2011, sales of dietary supplements hit $30 billion in the U.S., more than twice the size of the global HIV drugs market. Good nutrition by means of a balanced diet can help ensure proper immune function in conjunction with the timely and informed use of antiretroviral medications. The role of vitamins and other nutritional supplements, by contrast, remains debatable. Confusion is rife in the consumer marketplace, often fueled by manufacturer claims about products which are thinly supported by research. And while the FDA tries to regulate these claims, a 2012 assessment by the Department of Health and Human Services reported that as much as 20 percent of the supplements reviewed made wholly prohibited claims, often times around the issue of “immune support.” It’s not so much that these claims are patently false. It's simply that the evidence referred to is generally inconclusive or anecdotal at best. Upon publication of the research, a number of manufacturers pointed to the study as “scientific proof” of their product’s immune-boosting properties. What most failed to do, however, is contextualize the study, ignoring the numerous co-factors that contributed to the results—not least of which are the high levels of poverty, hunger, and malnutrition that exist within an indigent African population. Ultimately, nothing in the study suggested that multivitamins, in and of themselves, would demonstrate the same benefits—or afford the same conclusions—in the resource-rich settings like the U.S. or Europe. Results from follow-up studies have been largely inconsistent, including a 2012 study which showed that high-dose multivitamins might actually increase the risk of death in severely malnourished individuals. Others clinical studies have shown benefits only in those with advanced disease (CD4 counts under 200 cell/mL), while others still have shown no benefit at all. What most studies have supported is the safety of multivitamins in recommended daily doses, particularly for people with HIV who are either undernourished or in advanced stages of disease. Far less is known about the benefits of individual vitamins, minerals, and other trace elements. A number of studies in recent years have focused on the role of selenium, a nonmetal mineral with known antioxidant properties. Research seems to suggest that the loss of selenium in early HIV infection parallels the loss of CD4 cells at a time when malabsorption and malnutrition are generally not seen to be factors. As compelling as this relationship might seem, research has not yet been able to support any true benefit of selenium supplementation, either in the avoidance of HIV-related illness or the reconstitution of CD4. Similar results have been seen with magnesium and zinc supplements, whereby increases in plasma levels have had no correlative association to either disease progression or outcome. The prolific use of supplements by some HIV-positive people is underpinned by the belief that “natural” products provide natural immune support that can readily complement HIV therapy. This is often not the case. In fact, a number of supplements can have a profoundly negative impact on people with HIV, either by interfering with the metabolism of their drugs or by causing toxicities that mitigate any possible benefit of supplementation. Megadose vitamin A: High doses of vitamin A (above 25,000 IUs daily) can increase the risk of liver toxicities, internal bleeding, spontaneous fractures, and weight loss. The World Health Organization (WHO) does not recommend the use of vitamin A supplements in pregnant, HIV-positive women, with research showing that a daily 5,000 IU dose might actually increase the risk of mother-to-child transmission. Megadose vitamin C: While some research has suggested that high doses of vitamin C may play a significant role in cellular immunity, the evidence is highly contradictory. What we do know is that high doses of vitamin C can cause gastrointestinal distress and diarrhea (the latter of which can impact absorption of certain HIV medications). Vitamin C doses above 1000 mg per day are also known to reduce Crixivan (indinavir) levels in some. Vitamin B6 (pyridoxine): Excessive intake of vitamin B6 (above 2,000 mg per day) can cause reversible nerve damage, exacerbating peripheral neuropathy in HIV-positive patients already affected by the condition. Vitamin E: High doses of vitamin E (above 1,500 IUs) can interfere with blood clotting, while prolonged, excessive use can result in diarrhea, muscular weakness, and nausea. St. John’s Wort (hypericin): An herbal preparation popularly used to treat mild depression, St. John’s Wort is known to reduce the levels of all protease inhibitor (PI) and non-nucleoside reverse transcriptase inhibitor (NNRTI)-class drugs, putting the patient at risk of drug resistance and treatment failure. Garlic: Garlic pills and supplements have been shown to reduce serum levels of certain HIV drugs, particularly Invirase (saquinavir) which can be reduced by half when taken concurrently with garlic supplements. By contrast, fresh or cooked garlic is not seen to affect serum drug levels. Grapefruit juice: An eight-ounce glass of fresh grapefruit juice taken with Crixivan can reduce serum drug levels by 26 percent, while a similar size glass of juice can increase Invirase levels by up to 100 percent (increasing potential side effects). While grapefruit juice should not necessarily be omitted from one’s diet, it should not be taken either two hours before or two hours after a drug dose. The role of exercise cannot be ignored, with benefits to both physical and mental health (including a reduction in the risk of HIV-associated neurocognitive impairment). In terms of supplementation, a daily multivitamin can help ensure that micronutrient needs are met, particularly in those unable to achieve nutritional goals. However, taking vitamins in excess of their recommended daily allowance is not advised. There is also no data to support the use of herbal supplements in either treating HIV infection or increasing the efficacy of antiretroviral drugs by reducing the HIV viral load. Please advise your doctor about any supplements you may be taking when discussing the management and treatment of your HIV. Fawzi, W.; Msamanga, G.; Spiegelman, D.; et al. A randomized trial of multivitamin supplements and HIV disease progression and mortality. New England Journal of Medicine. 351(1):23-32. Isanaka, S.; Mugusi, F.; Hawkins, C; et al. Effect of high-dose vs standard-dose multivitamin supplementation at the initiation of HAART on HIV disease progression and mortality in Tanzania: a randomized controlled trial. Journal of the American Medical Association. October 17, 2012; 308(15):1535-1544. DOI: 10.1001/jama.2012.13083.